Projects vs Performance | Transforming Leaders. Transforming Organizations. Producing Breakthrough Results. Much of public sector structure is set up around the delivery of projects. There are operating budgets and capital budgets. There are Billion-dollar programs invested in the delivery of transit centers, schools, and parks. Voters are asked to support bond acts to construct a new 200 million dollar school addition - to deliver "the project". In New York City they just finished the most expensive rail project in the history of the world on a per mile basis, at 4.5 billion dollars. Yet rarely is the culture set up to think through whether the project will actually improve performance. If the project doesn't make the outcomes of the organization better, then why are we doing the project? If we're building a new school and it's not going to increase graduation rates or offer a new curriculum, if it's simply to provide a roof over the head of teachers and students due to volume, is a new building really the best answer? If we're going to construct a new rail line and it doesn't improve customer satisfaction or catalyze economic development in a region, then is it really the right project? If a city wants to build a new park but it doesn't reduce crime or increase property values in the neighborhood - then is that really the best investment of taxpayer resources? Ultimately the desired outcomes may be quite different from community to community, but one thing that is common is that elected officials are often too quick to want to "select projects" and cut ribbons on capital initiatives without demonstrating how they will actually improve performance of the organization they lead. 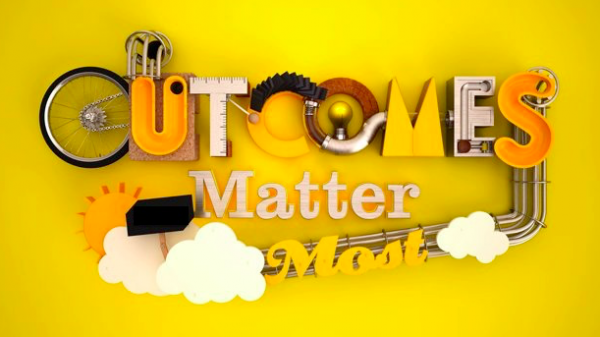 If a county, school district, or transit agency is clear on the outcomes they desire - then nearly all focus of the organization should go towards achievement and improvement of those outcomes. Opening a new subway line isn't a victory if it doesn't drive customer satisfaction, for example. A new school should enhance student learning. Simply opening a new park for the sake of having another new park might well deliver a project - but it fails to improve performance. Having clarity of outcomes and designing your annual work plan and your capital program around the enhancement of performance on those outcomes will ensure that your taxpayers’ dollars are being used to drive desired results rather than activity.